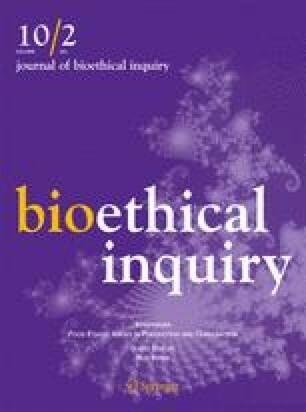 Patient autonomy, as exercised in the informed consent process, is a central concern in bioethics. The typical bioethicist's analysis of autonomy centers on decisional capacity—finding the line between autonomy and its absence. This approach leaves unexplored the structure of reasoning behind patient treatment decisions. To counter that approach, we present a microeconomic theory of patient decision-making regarding the acceptable level of medical treatment from the patient's perspective. We show that a rational patient's desired treatment level typically departs from the level yielding an absence of symptoms, the level we call ideal. This microeconomic theory demonstrates why patients have good reason not to pursue treatment to the point of absence of physical symptoms. We defend our view against possible objections that it is unrealistic and that it fails to adequately consider harm a patient may suffer by curtailing treatment. Our analysis is fruitful in various ways. It shows why decisions often considered unreasonable might be fully reasonable. It offers a theoretical account of how physician misinformation may adversely affect a patient's decision. It shows how billing costs influence patient decision-making. It indicates that health care professionals' beliefs about the ‘unreasonable’ attitudes of patients might often be wrong. It provides a better understanding of patient rationality that should help to ensure fuller information as well as increased respect for patient decision-making.